Manufacturer interest in the series was apparent from the beginning, as Renault's e.dams squad emerged comfortable season-one champion, but even the most optimistic daydreams of CEO Alejandro Agag would surely never have forecast ranks of blue-chip brands queueing up to join. Audi, of course, with Abt, is a works entry already and is probably the outright quickest team in this season's championship. And BMW has supported FE from the outset with its i8 and i3 models as safety and medical cars; it enters full-time for season five, which starts this December in Riyadh. But it's the involvement of Porsche and Mercedes for season six that has really turned heads, while also giving rise to concerns that a strictly cost and tech-controlled championship could soon be facing its own arms race. While the 'Gen2' car that will be used for 2018/19 onwards retains many 'spec' components, such as the chassis, battery, aero, tyres, brakes and front suspension, it's in the area of powertrain R&D - those components including the motor, inverter and gearbox that are not technically locked down - that costs could escalate. As Andreas Seidl, Porsche's former World Endurance Championship team principal who now leads its Formula E effort, confirms: "The decision has been made that we will approach Formula E in a similar way to how we did it in LMP1 - which means that both the development but also the entire race operation will be a full works programme. For us it was never an option to run a Formula E season with a car that doesn't have any single Porsche component." Seidl draws a distinction with the Mercedes approach, which is based on a toe-in-the-water 2018/19 season entry in partnership with Venturi and HWA - Mercedes' long-time DTM ally. Porsche, by contrast, will enter 'cold' in the 2019/20 season. "For us it was clear that we would only start doing Formula E once we had our own powertrain in place," adds Seidl, "so it wasn't possible to do something similar to Mercedes for season five in terms of timing. So season six will be our rookie year and we will have to learn quite quickly - but again I think we have a good foundation and hopefully we'll be in the window of being competitive as soon as possible." Porsche's impeccable sportscar heritage and the battle-hardened Weissach race operation that will take on the Formula E challenge mean this could never be considered a 'rookie' entry in any conventional sense. 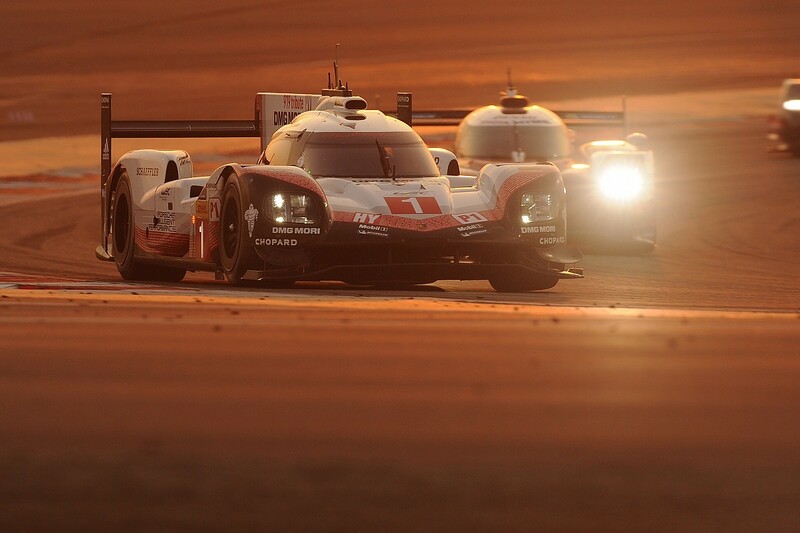 Yet despite this pedigree and Porsche's extensive experience with the 919 Hybrid LMP1 car, Seidl is cautious of the particular challenges of Formula E.
It's a race series unlike any other, where efficiency of power usage is of paramount importance and the skills of team and driver in being able to manage a vehicle, rather than simply make it go as fast as possible, are paramount. "We are very aware of how tough the competition will be," he says, "especially considering going into competition against manufacturers that have already been in for five years when we enter. So, this is why we approach this challenge quite humbly and with a lot of respect. We have to learn, especially in our first year. It's part of the learning process to have issues there and learn from them." Audi's early-season reliability troubles were clear evidence that Formula E is a more subtle technical challenge than many outsiders acknowledge, and one that is taking engineers into realms of experimental powertrain development, as-yet untried in the wider motoring and motorsport arenas. 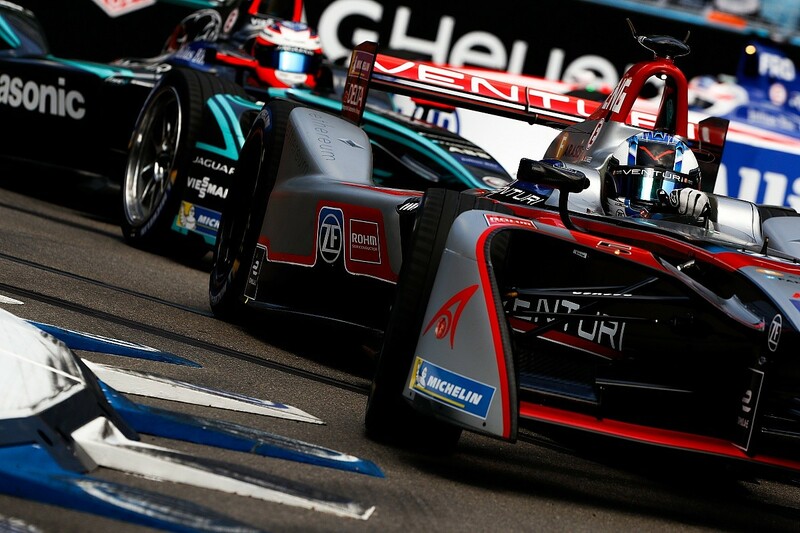 This quest to improve cutting-edge electric-vehicle technology is what underpins the surge in manufacturer interest, for should Formula E competition prove a catalyst for a breakthrough in battery capacity, or fast charging, the prizes on offer for any carmaker that steals a march on its rivals are potentially huge. Porsche's Formula E programme is closely aligned with its 'Mission E' project: the company's first all-electric road-going sportscar due for release in 2019. As elsewhere in the motor industry, Porsche's direction of travel is towards electrification and hybridisation, as emissions legislation becomes tougher and diesel fuel becomes ever-more stigmatised. "The possibilities and the performance of electric cars have been a central topic at Porsche for quite a while," Seidl explains, "and in Formula E, the competition is about achieving differences in efficiency through details." Drivetrain development is already under way in the same high-voltage laboratory that was used for the 919 Hybrid, and some new components are being used on both racing and road-car prototypes. "Motorsport and road-car engineers are working closely together," Seidl continues. "We share a common interest in aspects of efficiency and in making an electric powertrain as light as possible." Porsche will be facing some serious competition come December 2019, not least from Mercedes, which, if persistent rumours are to be believed, may yet focus its main motorsport efforts towards Formula E and away from Formula 1 sooner rather than later. "At the moment, Formula 1 works well for us, but equally, all options are open for us after 2020. We are contractually bound [to F1] until 2020, but it could be that we would have had 10 great years, it could be that we go on forever, it could be that we do something else with the structure. And these are things that I'm considering." 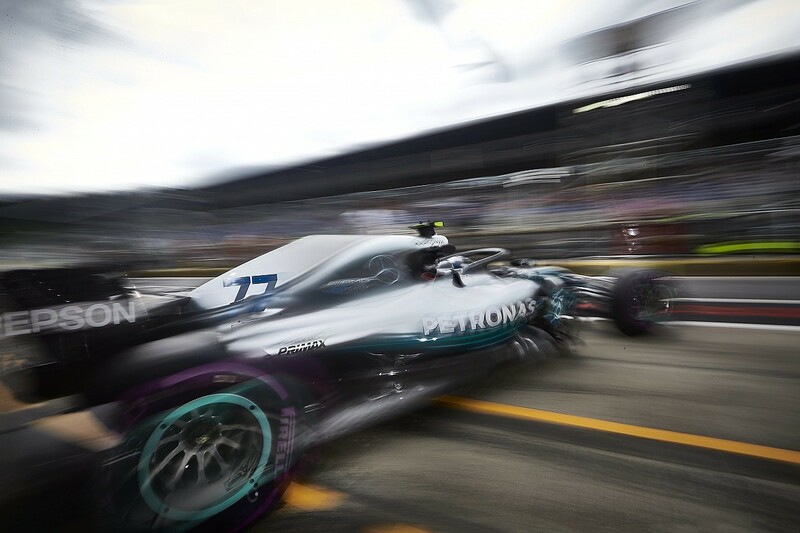 Like Porsche, Mercedes views Formula E as an immensely valuable proving ground for electric-vehicle technology and, given the era-defining excellence of its hybrid-V6-turbo engines in F1 since 2014, it seems unlikely Merc will be a laggard when the first silver-painted FE cars whirr near-silently onto the grid next year. Mercedes describes its High Performance Powertrains site at Brixworth as a "world-class centre of expertise", and it's here that FE powertrain R&D is already taking place. "Formula E is a unique series with some very specific challenges for its teams," says Wolff. "We know the level of competition is extremely high and we will approach the challenge with energy and humility. There can be no other approach when we are up against 10 competitive manufacturers, many of whom have years of experience in the series." Make no mistake though, Mercedes, like Porsche, like Audi, like BMW and every other manufacturer entrant, is only in it to win. Brand lustre can be lost as easily as it is gained in the heat of battle and inevitably some will lose. 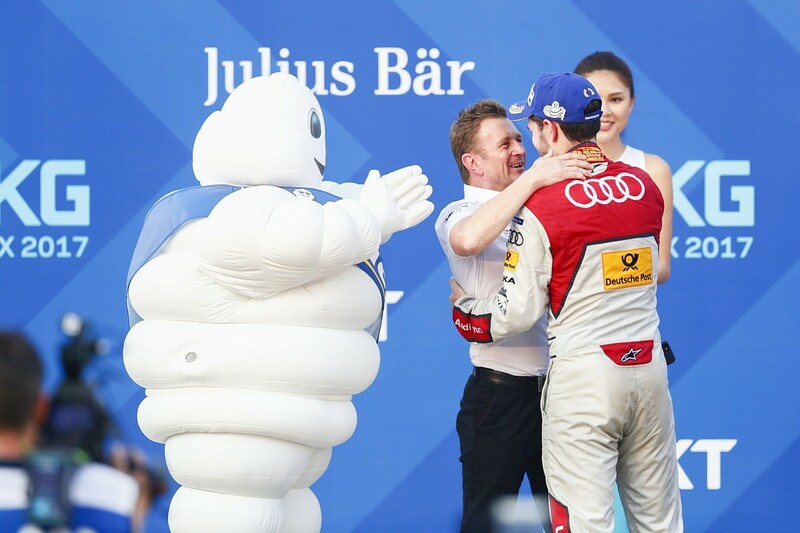 And right there, reckons Audi team boss Allan McNish, is a risk of future peril for the still-evolving championship. "Nobody likes losing but not everyone can win," he says. "The competition between sales divisions is going to be just as intense as it is between teams. It's already looking pretty busy for season five and in season six there will be a lot of head- to-head fights. It goes back to 'win on Sunday, sell on Monday' - so we'll all be under that pressure." There will be a particular frisson between Porsche and Audi, too, as both are part of the Volkswagen group and both will have to prove the merits of their entries to respective corporate drones. "It's certainly a focal point," says McNish, "and I'm sure it will be very much a focal point on Monday mornings when board directors are calling around saying, 'Congratulations on your fine second place' when they've won. "But that aside, the competition brings a lot of positives even as it brings a lot of internal pressures. You're competing against your next-door neighbours - and in the case of Porsche you're kind of competing against your brother." 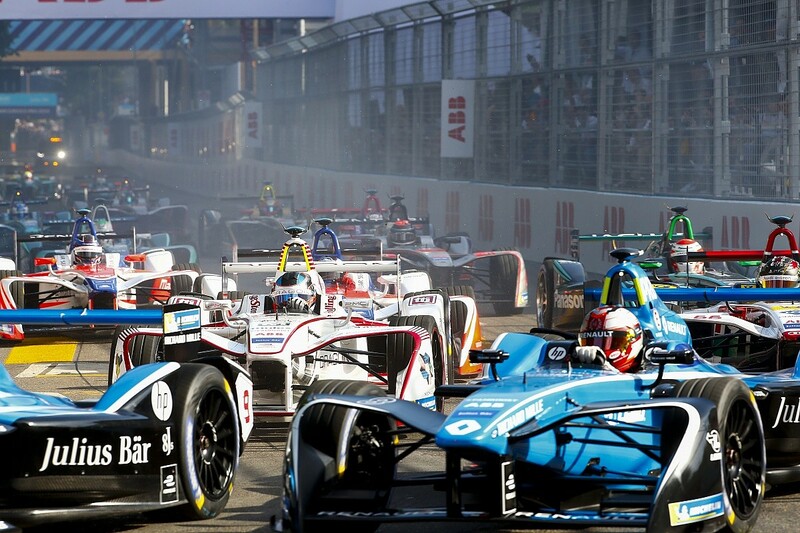 Formula E's baked-in technical restrictions should prevent healthy rivalry from escalating into the 'total war' currently being played out in F1, where annual budgets are measured in hundreds of millions of dollars and allegations of rule- skirting skullduggery are the fortnightly norm. Yet those deep-pocketed car-industry leviathans are going to want to spend their cash somewhere, so it's unlikely to be long before big-name drivers get the scent of cash and the odd hospitality unit or three become part of FE's travelling circus. As McNish notes: "I'm sure Alejandro is delighted every time he signs an individual deal with one of these prestige manufacturers. But I'm sure there are going to be times in the future when he's tearing his hair out."